Mix all ingredients for the sauce seasonings and set aside. Bring water to boil, add in burdock shreds, and cook for 5 minutes. Drain until dry. Add in the sauce seasonings, mix well and serve. 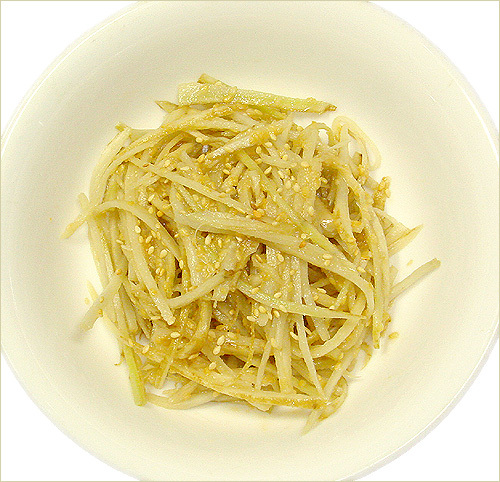 ◆Optional: Japanese miso can be replaced by sesame oil or soy sauce.